FREE Love! 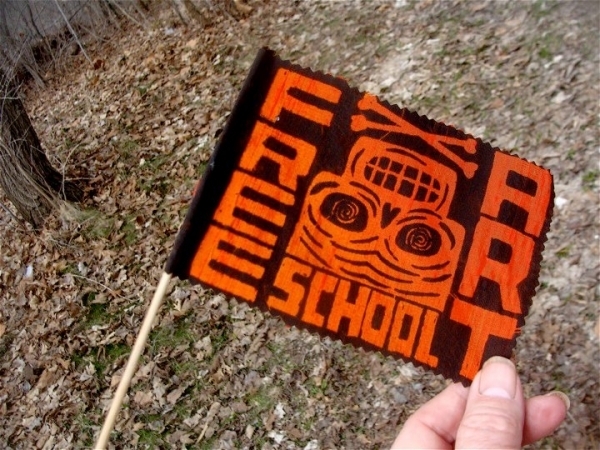 FREE Art! FREE Money! FREE @RT Sc001 (F@S) is an intentionally nebulous collection of artists and troublemakers who are interested in washing the squares right out of their hair. Its members, or missionaries, are interested in creating whimsy, fun and cultural animation to the highest power--even if this involves a little soapbox preachin' from time to time. Embracing hypocrisy and laughing in the face of up-tightness, The Missionaries work to highlight the joy of learning and making artwork, and hopefully inspire others to do the same. We work with children of all ages, adults, people who pretend to be adults, robots, artists and fakers of all sorts. The Missionaries to FREE @RT Sc001 are inspired by the historical precedents of the Situationist International group, have an obvious reverence for Dada and a penchant for hyperbole. We work to make art and whimsy with our bare hands, endorsing a d.i.y. aesthetic and an Arte Povera politic. The Missionaries find intrinsic value in making things. With no concern for exchange value, we find collective production fun and soul sustaining. Our events, which are participatory by nature, seek to nourish their participants socially and artistically. Commissar of the Conifers! Baron of the Boreal! The Faux Quaker! Thee Strawman! The Faux Shaker! Robots big and small! We welcome you all!